Hi, my name is Leah. 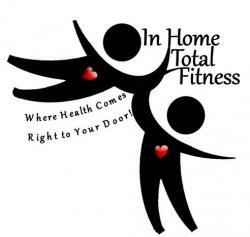 I am the founder of In Home Total Fitness. After spending 15+ years in the fitness industry, I realized that there was a huge gap in accommodating individuals with special needs, disabilities, or those that just don’t have the time or comfort level that it takes to exercise in the gym environment. I found that fitness centers tend to be intimidating, difficult to access, and time consuming for busy people that don’t have the travel and hassle time for a gym. I strongly feel that everyone, no matter their economic or physical status should have access to the tools necessary to control the future of their own health. My biggest goal in starting this company was to help people achieve their greatest fitness potential by providing education, opportunity, and a comfortable and natural environment. Where else is there a better place to do this than at home? We take pride in our highly trained and dependable staff that can professionally accommodate any need, situation, or goal.